and we're making a special custom baby quilt for her. 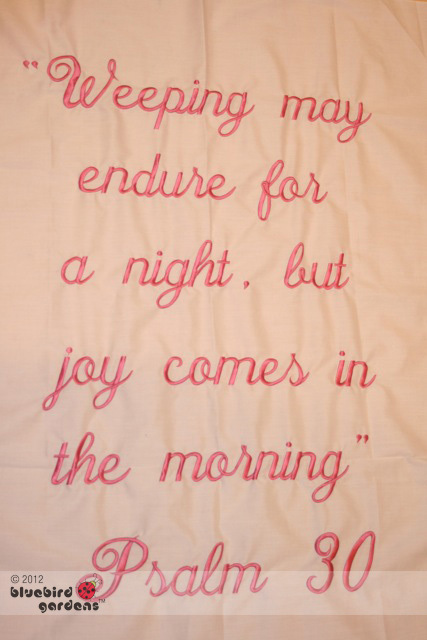 "Weeping may endure for a night but Joy comes in the morning. Psalms 30."